When he crash lands on the surface, his helmet is on backwards. He can't fix this, because the suit's locked while it provides him needed medical assistance. All of this was really just a convoluted way to introduce him to the episode guest protagonist, Madge, a British mother prone to taking home strays. She helps him find his Tardis without having seen his face, a plot point for what comes next. Three years later, it's right before Christmas, Madge has just received word her husband's plane was lost during World War II, and she's taking her children to the country for Christmas. The kids still think their father is coming, a fact she doesn't want to dissuade them from, fearing it will ruin the holiday forever. When they arrive at her uncle's house, they discover a new caretaker has taken residence. 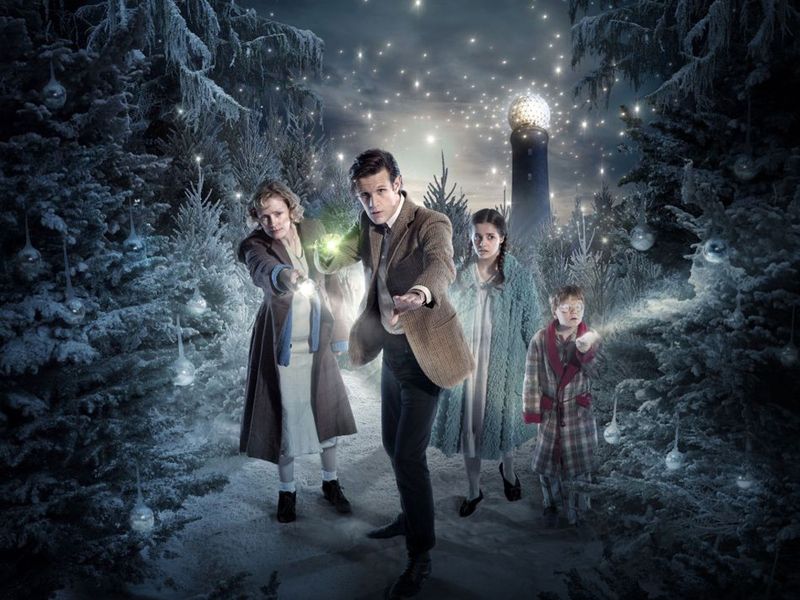 The Doctor, of course, is there to repay her favor and try to give the children a great Christmas. To facilitate this, he's transformed the house into a whimsical play land. This is all supposed to culminate with a trip through a portal the most Christmasy setting he could find: a snow covered planet of beautiful trees that grow ornaments. Only one of the children sneaks down and opens the gift early, leading to the Narnia homage that gives the episode its name. The Doctor and the other child discover what's happened and follow through, and Madge is close behind. She runs afoul of some loggers and winds up stealing their ride. The trees, it turns out, are sentient, and the world is about to end, thanks to an intergalactic mining operation. To save themselves, the trees have created a massive ship, but it needs a pilot to contain their essence. The whole thing has a druidic vibe. The episode offers an unconditionally happy ending, a rarity in the series. It's worth noting that the resolution was inline with the rules established within the episode. Granted, those rules were more fairy tale than science fiction, but the time travel stayed in the proverbial lines, and there were no major plot holes. Also a rarity in this series. It's a sentimental episode, but it's effective, sweet, and charming as hell. It's not my favorite of the Doctor Who Christmas specials, but - despite a rocky start - it's great television.